Courtesy of Puff Daddy's Instagram (@iamdiddy). With Justin Bieber turning 22 this coming Tuesday (March 1), the Canadian singer threw early birthday celebrations with a star-studded party in Los Angeles on Saturday night (February 27). 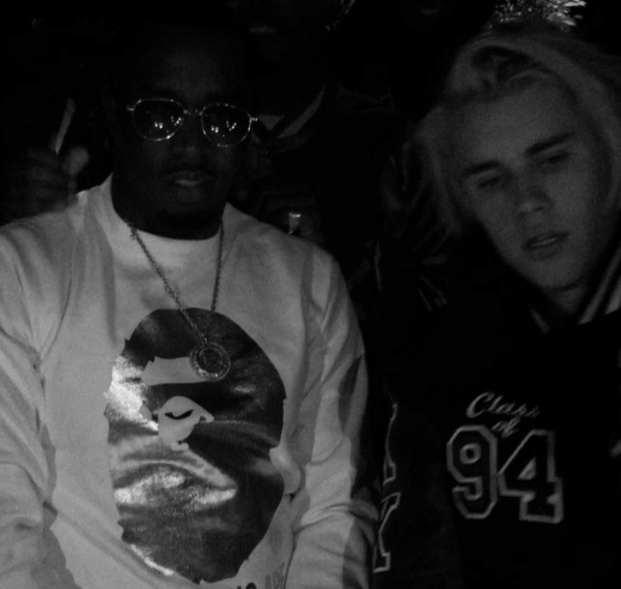 Among the party’s guests was Puff Daddy, who gifted Justin Bieber with a Bad Boy Records bomber jacket during the night’s festivities, footage of which can be viewed below. “Had to give lil bro that official#BadBoy Jacket for his Birthday@justinbieber #jb22 #CirocNights The Only Way! !” Puff Daddy wrote on Instagram. Last July, Puff Daddy offered long-time foe 50 Cent “a lifetime supply of the Superior ultra premium” CÎROC vodka for the rapper’s 40th birthday. In addition, Puffy Daddy gave Bad Boy Records signee French Montana a $1,000,000 Christmas bonus last December. Had to give lil bro that official #BadBoy Jacket for his Birthday @justinbieber #jb22 #CirocNights The Only Way! !